The right choice for clinicians who prefer to work in a digital environment but want critical parameters displayed both numerically and as electronic flow tubes. 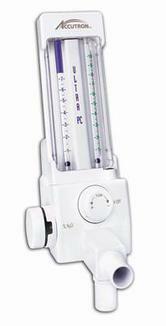 The ease of color-coded, fingertip controls is an additional feature of the flowmeter. Its sealed flush surface makes it easy to disinfect or barrier-protect. The unit's design complements aseptic, contemporary operatory environments. 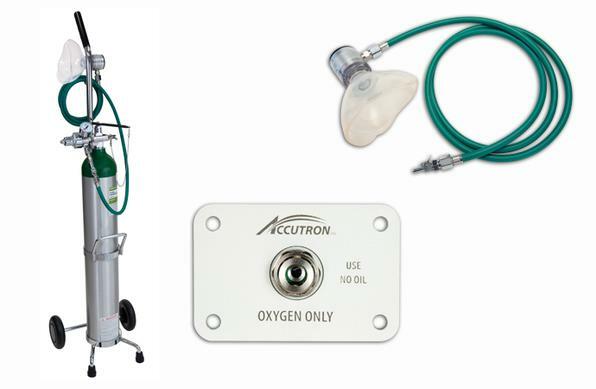 Accessories include a remote control and a printer for recording gas delivery during patient treatment. 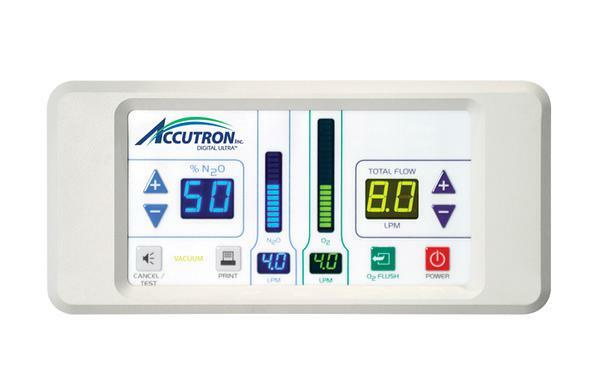 The Ultra PC® % Flowmeter is designed for the practitioner who demands precision control, consistent performance and state-of-the-art innovation. 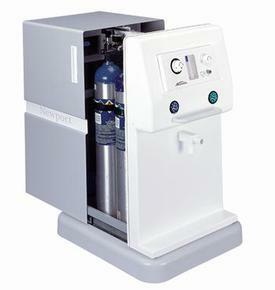 The unit combines efficient operation with optimal safety, and its appearance complements modern operatory esthetics. 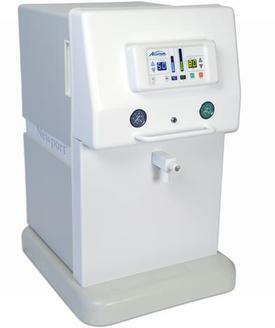 The Newport™ Flowmeter System offers a practical solution to the challenges associated with operatory space planning and ready availability of conscious sedation equipment. A totally integrated mobile unit with a stabilizing low center of gravity, it glides easily between operatories and can be positioned discreetly under standard-height counter space when not in use. The system's enclosed design provides convenient, yet out-of-sight, storage for both the manifold and gas tanks. A floor supports the weight of the unit's four cylinders to simplify the task of changing tanks. 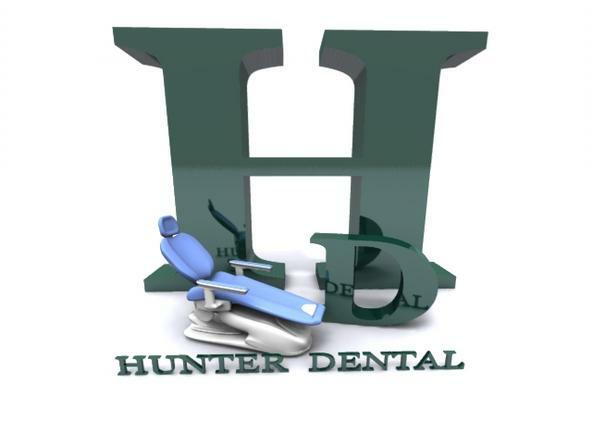 The Digital Ultra® Flushmount Oral Surgery has the same unique operating features as the Digital Ultra™ Flushmount, but includes a directional Y valve, a full facemask and corrugated tubing. It is the right choice for clinicians who prefer to work in a digital environment but want critical parameters displayed both numerically and as electronic flow tubes. The ease of color-coded, fingertip controls is an additional feature of the flowmeter. 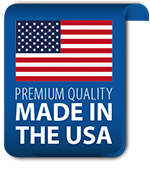 Its sealed flush surface makes it easy to disinfect or barrier-protect. The unit's design complements aseptic, contemporary operatory environments. 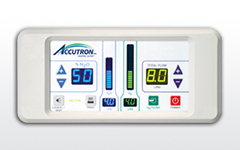 The Ultra PC® % Oral Surgery Flowmeter has the same unique operating features as the standard Ultra PC™ % unit, but includes a directional Y valve, a full facemask and corrugated tubing. 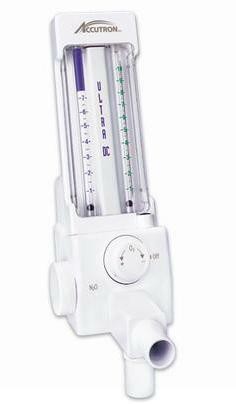 A percentage flowmeter, the unit has multiple safety features and is designed to complement contemporary operatory environments. 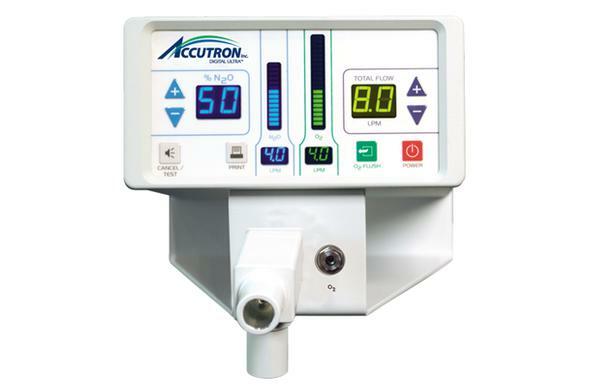 The Ultra DC® Oral Surgery Flowmeter has the same unique operating features as the standard Ultra DC™ unit, but includes a directional Y valve, a full facemask and corrugated tubing. 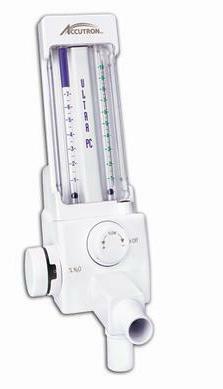 The flowmeter has individual controls for establishing N2O and O2 settings, and multiple safety features for patient comfort and protection. Its design complements contemporary operatory environments.